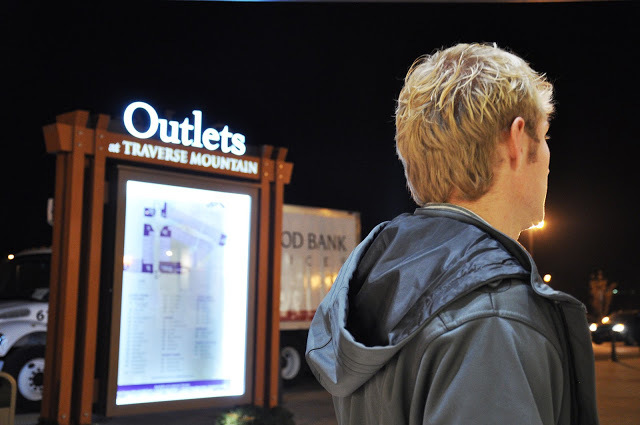 Last night we had the opportunity to check out a sneak-preview of the Outlets at Traverse Mountain! 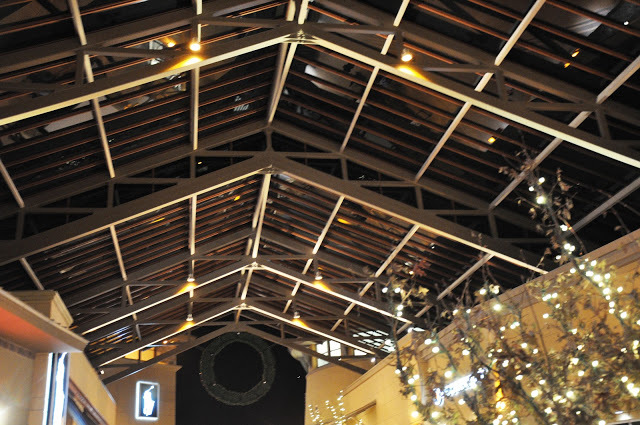 We were thrilled by the beautiful lights, covered walk ways, dazzling stores, and friendly faces. 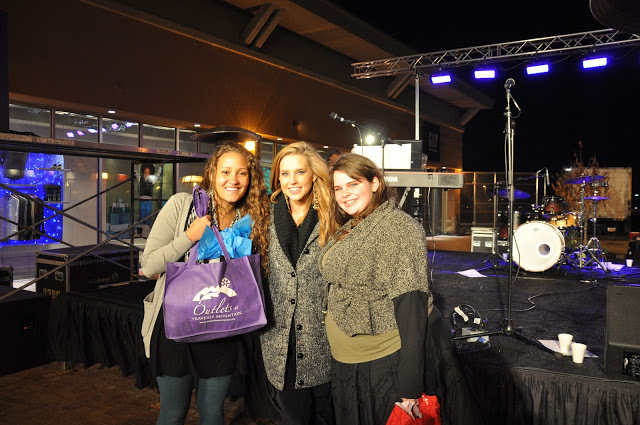 To top it off, joyful Christmas music filled the brisk air and we felt like we were in a shopping wonderland. 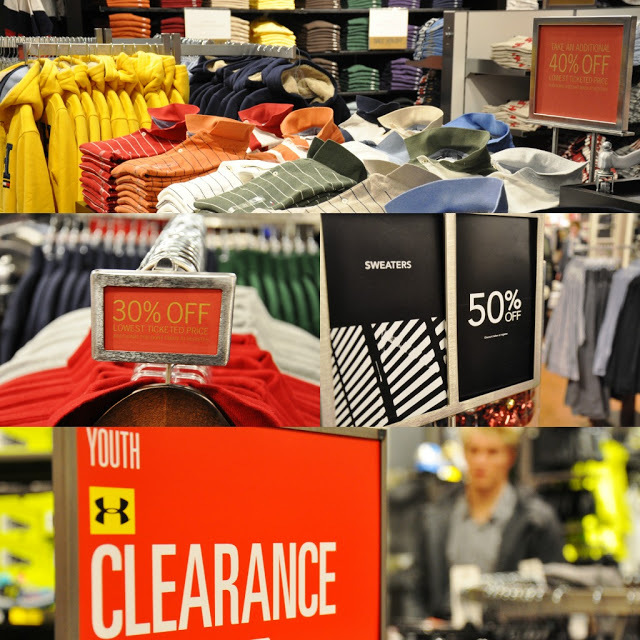 For those of you who have been as anxious as us to check out the Outlets, we can assure you that they won&apos;t disappoint! We really were impressed with how beautiful the entire place was and how convenient they have made it to shop. 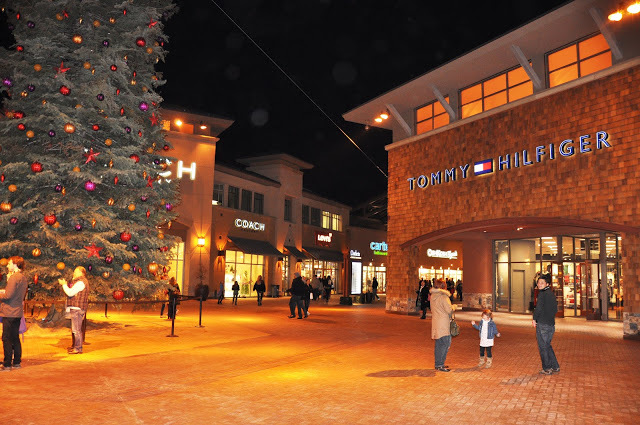 The GM remarked on how nice it is to shop in brisk air instead of a stuffy mall, and we couldn&apos;t agree more. There&apos;s a plethora of great places "in store" for you to visit but some of them off the top of our heads that we loved were Under Armour, Polo, Calvin Klein, Sketchers, Nike, J Crew, Gymboree, Levis, Gap...we could go on and on. 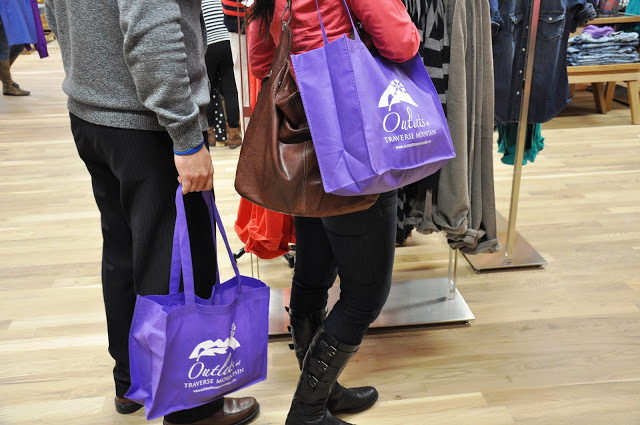 Anyways, hop on over to the Outlets to check things out for yourself. Don&apos;t worry, even though it&apos;s holiday season, there is plenty of parking which makes the experience even that much more enjoyable. 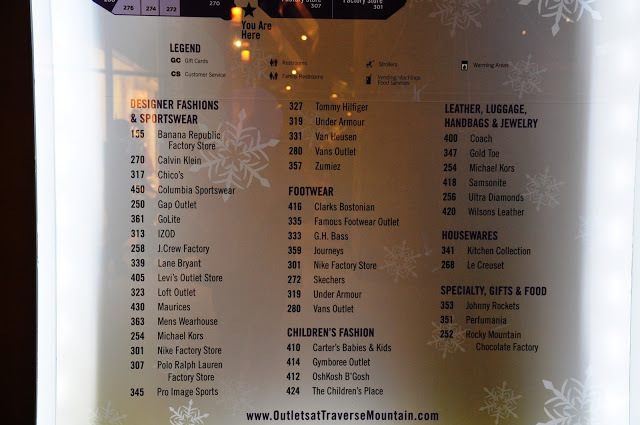 We are just on an all time holiday high over here at the CVB--Thank you to the great folks at the Outlets at Traverse Mountain for the warm welcome and hard work they put into making these Outlets one of the best shopping locations around. Here&apos;s a few of the photos we took as we strolled. 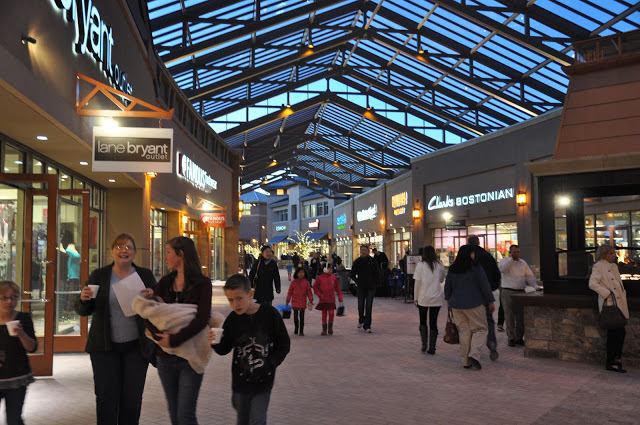 But now seriously, your turn to get out to the Outlets to see for yourself! There were deals galore at the Outlets. 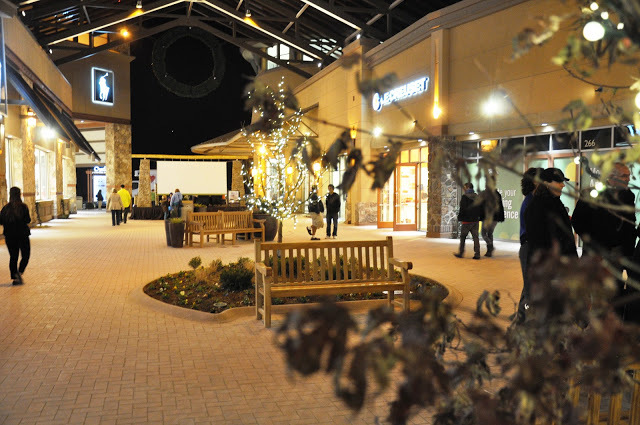 Yes, the prices are already discounted, but these kick-off events at the Outlets are making prices even better. We love, love the fireplaces along the walkways! 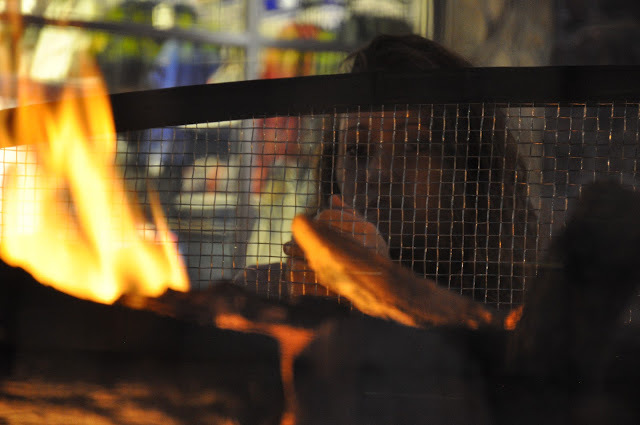 What a fun, cozy date night or family night idea it would be to shop and talk by the fires. We are lovin&apos; our Traverse Mountain swag! Look at this beautiful layout! That tree will be lit tonight! 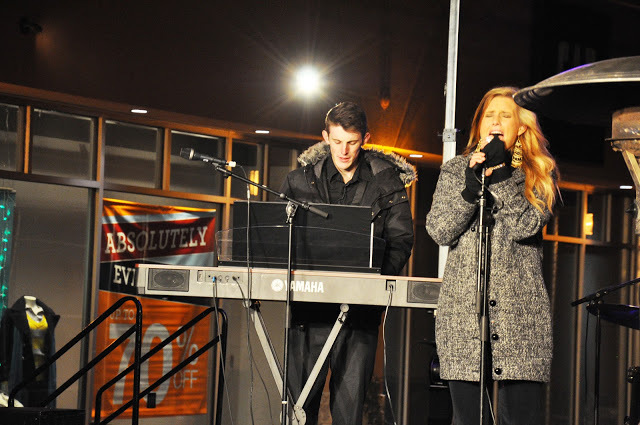 Singers on stage, live in action!